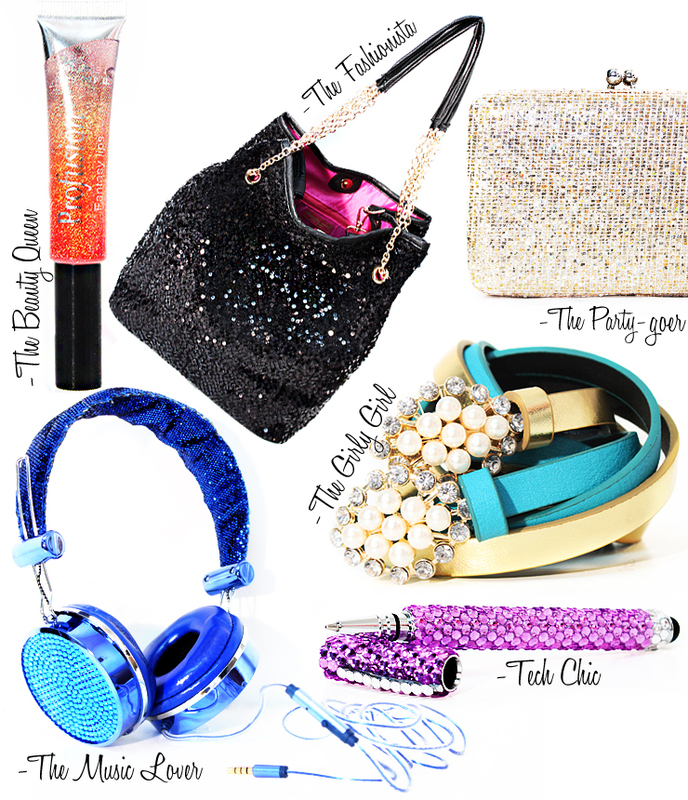 Here's a super cute gift guide for the fashion forward girls on your holiday list. For the beauty queen, tinted glitter lip gloss. The sequin embellished chain handle bucket bag is perfect for the fashionista on-the-go. The partygoer will love a glitter clutch that can light up a room. A pearl and rhinestone buckle skinny belt will add the finishing touch to a girly girl's outfit. Know a girl glued to her smartphone and tablet? Get her the pretty pink all-over rhinestone stylus/ball point pen. Any stylish music lover would appreciate a great pair of headphones.